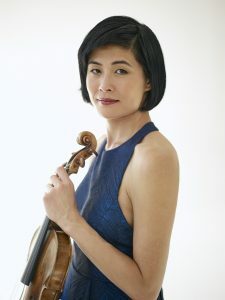 The Delaware Symphony Orchestra returns to the Longwood stage Sunday, July 8 for an evening of Mendelssohn and Brahms featuring the dazzling violinist Jennifer Koh. Known for her intense and commanding performances, Koh joins the Delaware Symphony Orchestra on Mendelssohn’s Violin Concerto in E minor, Op. 64, one of the greatest violin concertos of all time and his last major orchestral work. Born in Chicago of Korean parents, Ms. Koh began playing the violin by chance, choosing the instrument in a Suzuki-method program only because spaces for cello and piano had been filled. She made her debut with the Chicago Symphony Orchestra at age 11. Ms. Koh is Musical America’s 2016 Instrumentalist of the Year, a winner of the Concert Artists Guild Competition, and a recipient of an Avery Fisher Career Grant. She has a Bachelor of Art degree in English literature from Oberlin College and studied at the Curtis Institute, where she worked extensively with Jaime Laredo and Felix Galimir. Tickets are on sale now for the July 8 performance in Longwood’s Open Air Theatre. Tickets can be purchased online at longwoodgardens.org.